After learning their beloved matriarch has terminal lung cancer, a family opts not to tell her about the diagnosis, instead scheduling an impromptu wedding-reunion back in China. Headstrong and emotional writer Billi rebels against her parents’ directive to stay in New York and joins the family as they awkwardly attempt to rekindle old bonds, throw together a wedding that only grandma is actually looking forward to, and surreptitiously say their goodbyes. A heartfelt celebration of both the way we perform family and the way we live it, THE FAREWELL masterfully interweaves a gently humorous depiction of the good lie in action with a thoughtful exploration of how our cultural heritage does and does not travel with us when we leave our homes. 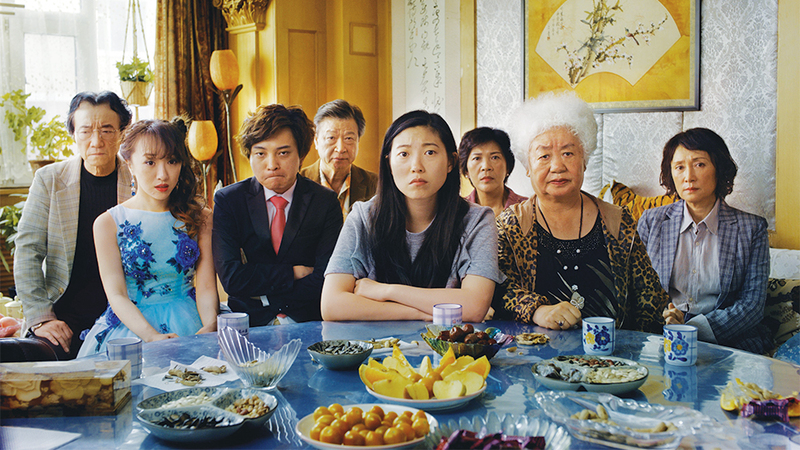 Writer/director Lulu Wang imbues THE FAREWELL with warmth and knowing wit, while the uniformly excellent ensemble cast (anchored by a breakout performance by Awkwafina) invites us to share this extended clan’s joy and sorrow—and to feel, for the length of this remarkable fi lm, like a part of their family. Director Lulu Wang scheduled to attend. Tickets grants access to both the Opening Night Film Presentation and the After-Party at Areu Bros. Studios from 9 PM to 12 AM. ﻿Wristbands are required for ticket-holders and will be available at check-in the night of the event. Shuttles and ATLANTA MOVIE TOURS buses will be available to transport you from the Plaza Theatre to Areu Bros. Studios.